Solar Project – Nolt Electric, Inc. 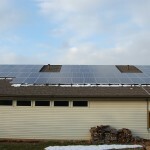 Solar power is really starting to catch on across the country and here in Pennsylvania. Lancaster Newspapers recently ran an article about a proposed solar farm in Southern Lancaster County. If you are interested in the possibility of having a PV solar system and taking advantage of the sun’s energy. Nolt Electric is a Pennsylvania Certified Solar Installer and can help you with your commercial or residential project today. Here you can see the installation process on our very own 15 KW solar project. 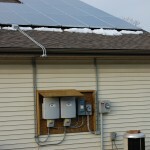 Want to know more about solar and how Nolt Electric can help you? Call 717-653-2331, email, or visit our Solar Information page today.